Presenter John Humphrys has insisted that he did not set out to humiliate George Entwistle during the on-air mauling that led to the former BBC director general's resignation. The Radio 4 journalist was widely acknowledged as the man who sealed the fate of his old boss with a bruising Today programme interview about his handling of a series of crises at the BBC. Entwistle, who had been in the post for less than two months, spent virtually his entire tenure trying to deal with the fall-out from the Jimmy Savile child abuse scandal. 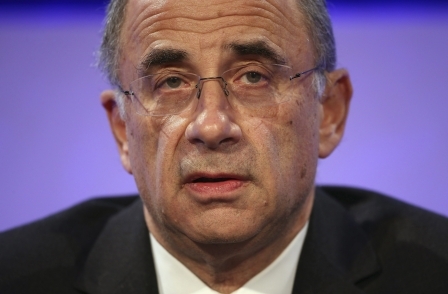 The final nail in his coffin was the disclosure that Newsnight – which had been panned for not running a report exposing the scandal – had wrongly implicated Lord McAlpine, a former Tory Party treasurer, in a child abuse scandal in north Wales in the 1970s and 1980s. During an excruciating exchange on Today last month the then BBC boss admitted that despite all the furore over the scandal, he had been unaware that Newsnight was going to broadcast the north Wales report. Humphrys said he believed the former director general struggled during the interview because he was trying to tell the truth. The broadcaster revealed they did not speak afterwards because the programme was still going out live but Entwistle did approach him to shake his hand. 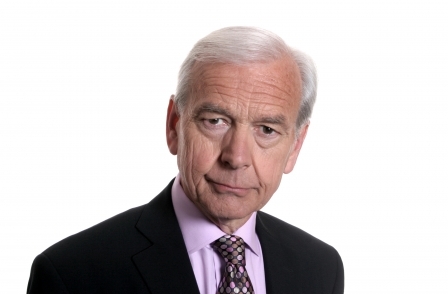 Humphrys told Radio 4's Broadcasting House programme "It was all rather sad." He added: "He did look pretty down, I must say. It wasn't a happy moment and not just because he was a colleague, which of course he was, and I both like and respect him, but you don't want to see somebody facing that sort of interview. "I know it was said in the papers the following morning that he had been humiliated. I didn't set out to humiliate him, of course I didn't. "I asked what I hope, thought at the time, and hope were perfectly valid questions and he clearly had some difficulty answering them, maybe because he was trying to be entirely truthful. "Not everybody who sits across the microphone from here is always trying to be truthful and I think he was." Telegraph readers un-appy, BBC-speak update, was Mackenzie doorstepping harassment?